Start your journey in the safari capital of Arusha before setting out to the Serengeti National park, world renowned for the annual wildebeest and zebra migration and finest game viewing on the planet. Become captivated by the traditional Masai warriors in their scarlet robes and nomadic way of life, when visiting a local homestead. 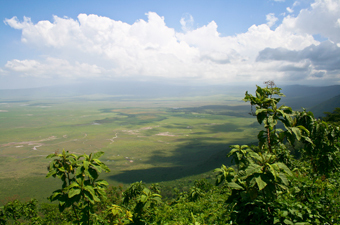 Descend 600m into the only un-flooded, volcanic caldera in the world, home to the highest concentration of predators and prey in the Ngorongoro Crater. Watch out for scavenging hyenas and tree-climbing lions during a game drive in Tarangire National Park before ending your safari in Arusha and fly to the legendary “Spice Island” of Zanzibar epitomizing all that stands for African exoticness. A striking mix of Indian, Arabic and African cultural influences for centuries has produced one of East Africa’s prized possessions. With its dreamy beachscapes, alluring turquoise water, aromatic spice farms, forest interiors, cobbled alleyways and whitewashed mosques, all deeply seeped in history remnant of the old slave trade. Explore the secrets of the intriguing narrow lanes and haggle with local market vendors in the heart of Stonetown and end at the sparkling golden beaches, coconut infused palms and the idyllic crystal waters of the Indian Ocean. Relax, unwind and soak up the timeless essence of Zanzibar. Arrival at Kilimanjaro Airport, be met and assisted by a Thor Travel representative. Transfer to your hotel. After breakfast, transfer to the airport for morning scheduled flight to Serengeti National Park, undoubtedly the most famous wildlife sanctuary in the world, unequalled for its natural beauty and the greatest concentration of plains game anywhere. Met on arrival and transfer to your luxury tented camp overlooking the Grumeti River and is set in an exquisite wilderness with excellent wildlife all year round . 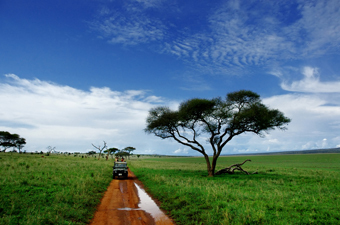 Afternoon game drive by Africa Journeys extended 4 x 4 vehicles. All day spent in the Serengeti with morning and afternoon game drives. After an early morning game drive and breakfast, depart with picnic lunch and drive to the Ngorongoro Crater, the largest intact caldera in the world. Its enduring charm stems from its overwhelming physical beauty and the abundance of wildlife permanently resident on the crater floor. Game drive en route. Afternoon at leisure enjoying the lovely views of the crater from the lodge. 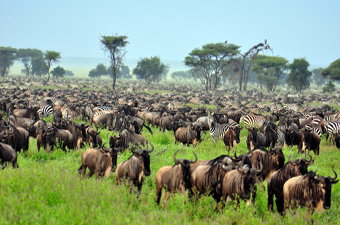 After breakfast, , descend on the crater floor which contains the highest density of wildlife in Africa and the ‘Big 5’. Later return to the lodge for lunch. Afternoon at leisure with optional activities. After breakfast, drive to Tarangire Treetops. Recently refurbished, the lodge offers fine accommodation with elevated views of the Tarangire ecosystem. Afternoon game drive until sunset. Day spent in the park with morning and afternoon game drives. Morning game drive and then transfer to the airport for your flight to Zanzibar.Afternoon at leisure to explore Stonetown. 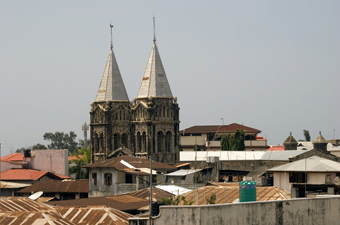 Morning half day guided walking tour of Stonetown, visit to spice farm and transfer to the coast in the afternoon. 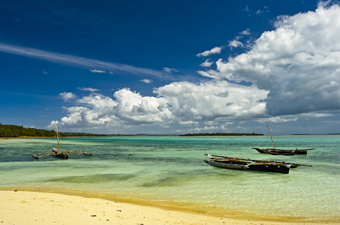 Your day is at leisure in Zanzibar with optional excursions. Morning transfer to Stone Town airport.